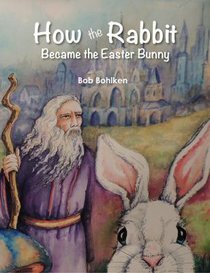 This book tells the story of how the rabbit and colored eggs became a part of the Easter celebration. Children ages 3 to 10 can follow along this journey as the WiseMan searches for a special way to celebrate Christ's resurrection and the rebirth of spring. This rebirth is a celebration of new life, forgiveness, peace, and love. In the far-off Land of Oohs and Ahs, the citizens ask the Wise Man how they can celebrate Easter. Each holiday has it's own way of recognition, but there was no Easter celebration to bring attention to Christ's resurrection into Heaven and the rebirth of Spring. The Wise Man must find appropriate ways to represent rebirth, new life, forgiveness and peace and spread it throughout the land. He meets with different animals to help him decide what to do. Find out why the rabbit is the ideal animal to express the love and hope of Easter. This book will enlighten your children as they prepare for Easter and its celebration. Original color artwork. About "How the Rabbit Became the Easter Bunny"